Want to feel like a kid again? Then be sure to pick up a bottle of Maison Francis Kurkdijan Les Bulles d'Agathe Cold Mint Bubbles. 1) I love blowing bubbles. Like, a lot. 2) They smell like mint! 3) To have the scent waft over you, you have to pop the bubbles with your nose! Seriously, aside from these bubbles smelling absolutely fantastic, they are just so much fun. I urge you to reclaim your childhood and try them out immediately! 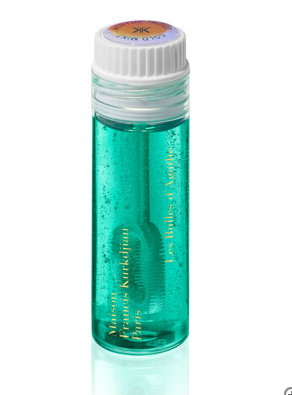 Maison Francis Kurkdijan Les Bulles d'Agathe Cold Mint Bubbles retail for $20 at bergdorfgoodman.com.